Eminent leaders from across India joined hands this autumn to signify the launch of GIWA-India at a special press event hosted with the technical support of UNICEF-India. 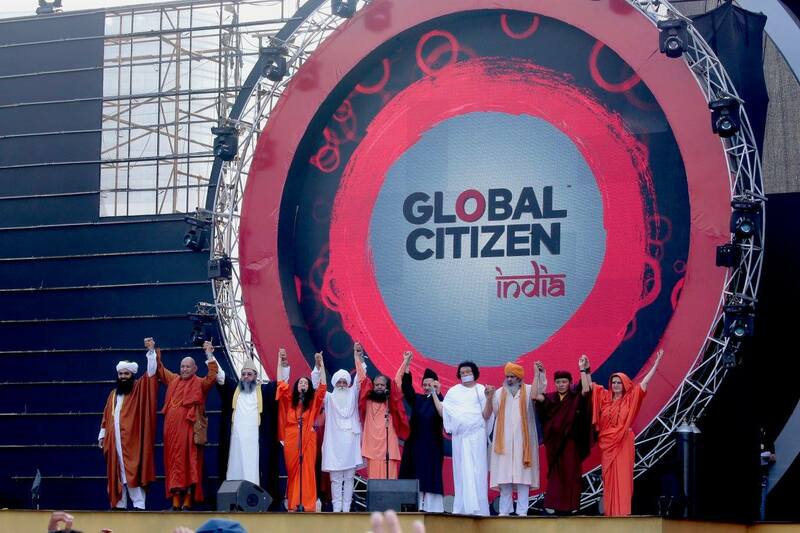 GIWA-India is the first country-level initiative of the Global Interfaith WASH Alliance, of which HH Pujya Swami Chidanand Saraswatiji is Co-Founder and Co-Chair. During the launch event, leaders discussed the crucial importance of GIWA’s special focus on India, a nation in which over 600 million people don’t have access to toilets and millions further have no access to healthy water and hygiene. Caroline den Dulk, Chief of Advocacy and Communications, UNICEF India. GIWA is the world’s first initiative to engage leaders of many faiths to create a world where everyone has access to improved sanitation, safe drinking water and proper hygiene. GIWA was launched globally on 25 September, 2013 at UNICEF headquarters during the United Nations General Assembly week, sponsored by the Governments of the Netherlands and USAID. GIWA’s mission is to save lives by initiating and accelerating WASH projects worldwide, beginning with India. Religious communities have a proven track record of success in promoting WASH globally. The faith leaders expressed deep anguish at the fact that nearly 600 million Indians still defecate in the open. This results in high mortality, morbidity and environmental degradation. The worst affected by poor sanitation, hygiene and open defecation are the children and women. India has the world’s largest number of diarrheal deaths among children under the age of five, and nearly 88 percent of the diarrheal deaths are mainly due to poor sanitation, unsafe drinking water and unhygienic practices. Welcoming the launch of GIWA-India, Giani Gurbachan Singh, Chief Jathedar of Sikhism’s supreme spiritual body, the Akal Takht, (Golden Temple) further expressed confidence that GIWA will not only give a strong platform for religious leaders to launch collective action on WASH, it will inspire other stakeholders and civil society too to contribute to the WASH Revolution. Seva (service) is one of the basic tenets of Sikhism and, therefore, GIWA will provide a new dimension to Seva to the community, he said. The faith leaders underscored the importance of water and the environment and proclaimed their commitment to these by offering water onto a globe in a sacred “Water Blessing Ceremony.” Together, they then took a pledge to use the immense power of their respective faiths for promoting community health and wellbeing through WASH.